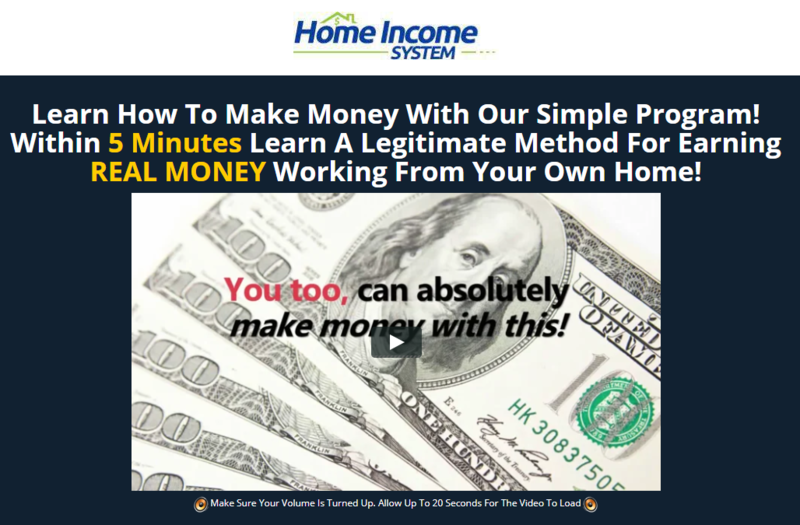 Home Income System Review - Is It a Scam? Or a Legit System? 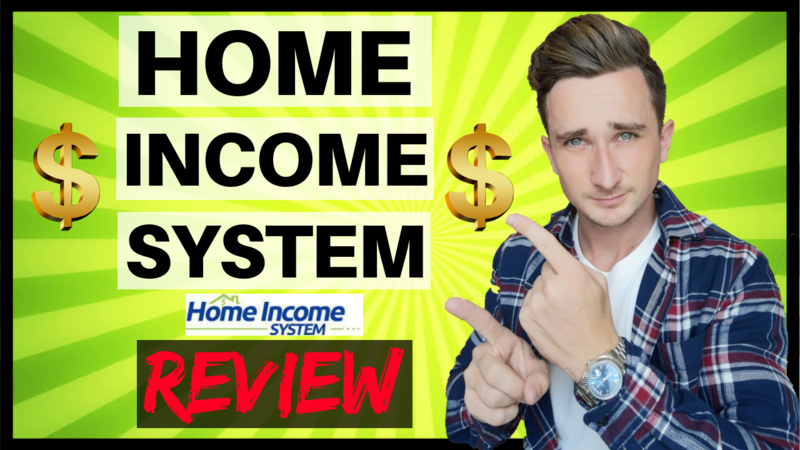 If you're reading this Home Income System Review, then I'm guessing you've recently stumbled across this new system and you have some questions about it. Is Home Income System legit? Is it a scam? What's it all about? All will be revealed in this review! Home Income System is honestly one of the least hype websites that I've reviewed in a while. Most websites that we see have a big bold claim as the first thing you see. Something like “Make $1000+ Per Day Within 5 Minutes”. However, Home Income System doesn't have any hype like that. So, it's actually going to be pretty difficult to convince you not to invest in this system, because there aren't many red flags. But I still wouldn't recommend this system. I've been doing this long enough now and reviewed enough online money making systems that I can easily spot a good, legit opportunity. And I don't think this is one of those. However, it's entirely up to you whether you want to take my word for it or not. 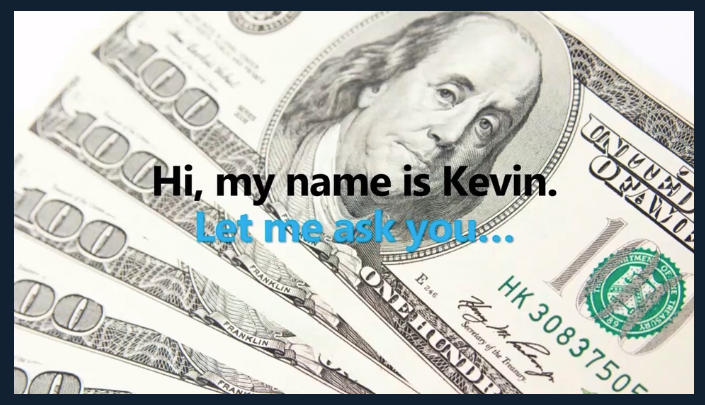 Home Income System Founder – “Kevin”? If you're familiar with any of my other reviews, such as my Inbox Income Review, then you may already know that one of the most important factors for me when I invest in an online opportunity, is who the founder is. If you've been on the Home Income System website and watched the sales videos, you might still be wondering who the founder is. I certainly am. Because, whoever he is, he never actually reveals himself. We never once see him in the sales video, there's no picture of him on the website and all we get is “Hi, my name is Kevin”. That's literally it. We don't even get a second name. This is the biggest red flag that I noticed on the Home Income System website. Honestly, for me personally, if I was in your shoes, this alone would be reason enough to just close down their website and never think about it again. Because in my experience, every website that doesn't have a real founder is just a scam. They're all the same. There's only one reason founders don't reveal themselves. That is because they know that their system is basically a scam and they'll have a lot of angry customers coming after them if they actually know who they are. Work 1 Hour a Day! This is a screenshot from their video. They claim that you can make money online, and work from home for just 1-2 hours per day. This is a little bit of a BS claim if you ask me. Again.. I've been in this game a while now. I've tried everything to make money online. Nothing took me 1-2 hours a day. Not to begin with anyway. When you're just starting out creating an online business, it's A LOT of hard work. You can't expect to just put in an hour a day. You'll get nowhere and it will take you forever to start earning good money. Once everything is set up and it's all running smoothly, and you've automated everything you can, then yes it is possible to only work that amount. However, in this sales video he's a bit misleading and doesn't tell you the truth. You won't be able to start working that little for a while. Put in the time and effort to begin with, and maybe one day you'll be able to work an hour a day. But don't believe what they say and that you'll be able to work that little straight away. Again, this is another misleading claim. $400+ per day is quite an achievable number when it comes to making money online. However, once again they're making it sound far easier than it actually is. You can't expect to work 1 hour a day and be able to earn $400+ per day. Like I said before, you're going to have to put in a lot of time and effort in order to be able to pull in numbers like this. The Verdict – Do I Recommend Home Income System? I've already told you that I don't recommend this system. I've reviewed hundreds of scammy websites, and Home Income System is honestly no different. For me, the fact that they have a fake founder is reason enough to completely avoid this system. Take my word for it if you want. Or you can waste your time and money investing in it. The decision in entirely up to you. Thanks for reading my Home Income System Review.